Transcendental Meditation (TM) is an effortless, natural technique which involves simply sitting comfortably on a chair for up to 20 minutes twice a day thinking a mantra silently. There are many forms of meditation which all have different procedures, goals, and outcomes. TM is significantly different from other forms of meditation in that no concentration, control, or even training of the mind is involved. The difference even from mindfulness, whilst appearing quite subtle, produces profoundly different outcomes. With TM, the mind is very easily allowed to transcend (go beyond) the active, surface level, beyond even the present moment. Always wandering in search of happiness, the mind naturally settles towards a silence so deep (known as ‘transcendental consciousness’) that the body also gains a unique state of very deep rest which research indicates is much deeper even than in sleep. This is the exact physiological opposite of the stress (fight/flight) response, and therefore even the deepest stresses accumulated during life’s most challenging experiences, and ultimately the cause of all physical and mental health problems, are automatically released. In TM terminology, undue pressure of experience, whether mental or physical, results in structural and biochemical abnormalities (‘stress’) in the body (known in Yoga literature for thousands of years as samskara or impressions [“scars”] in the nervous system). It is these ‘cellular memories’ rather than mental memories that cause the continuing experience of both physical and mental illness. Psychological effects of challenging experience or even trauma, including anxiety, depression, and symptoms of PTSD, are seen as the result of these physiological abnormalities distorting mental experience, and the physical release during TM practice relieves the psychological symptoms without any attention being given to the symptoms themselves. It is this ‘unstressing’ that is said to be responsible for the restoration of normal function of various systems in the body, particularly those involved in adapting to environmental challenges. A wide range of resulting improvements in all areas of life have been indicated by more than 650 scientific research studies over the last 40 years, including reductions in symptoms of anxiety, depression and addiction. Because TM works on this very subtle level, learning it does not require discussion (apart from a basic assessment procedure) or analysis of current specific difficulties. It is therefore not only very compatible with, but enhances other treatments including psychological therapy and mindfulness (as indicated both by research and anecdotal evidence). TM can be learned by people as young as 6 years old and irrespective of beliefs, ability or background. It is an easy technique to learn and practice, even for those with the most active minds! The course consists of a one hour individual instruction followed by three two and a half hour group sessions (over three consecutive days) and includes free support and guidance for life. 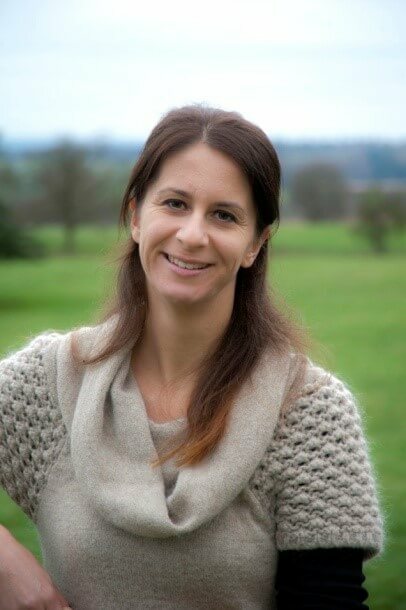 The TM courses in Pimlico and Old Street are taught by Dr Gemma Beckley, a qualified HCPC registered Clinical Psychologist with many years of experience working in the NHS and a qualified independent teacher of transcendental meditation (‘TM’). Her focus is now on teaching courses in TM for the registered UK charity the Meditation Trust. Gemma’s Psychology undergraduate research explored the effects of TM on occupational stress. Her thesis for her professional doctorate in Clinical Psychology explored the effects of TM on anxiety, depression and well being. Her training to teach the technique of transcendental meditation began with instruction at the age of 6, followed by many years of intensive practice and advanced courses, culminating in several months of specific residential training in the methods laid down by Maharishi Mahesh Yogi. She has since taught TM privately to the general public who are often experiencing high levels of stress with a range of physical and mental health problems including anxiety, depression and insomnia. She has also taught people on the Autistic Spectrum and with diagnoses of ADHD, personality disorder and schizophrenia.